Have twice the security for your property as you substantially reduce your power bills! Brightech’s LightPRO LED Security Light provides an innovative solution to replacing outmoded halogen or expensive incandescent floodlights. 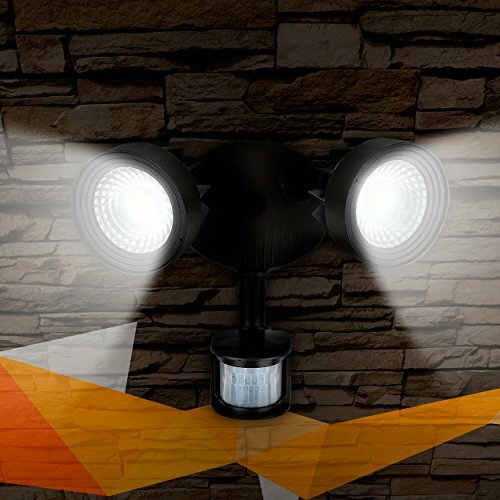 Two independently rotating light heads made of steel house ultra-bright 10.5-watt LEDs. Drawing a total of only 21 watts, these intensely vivid lights rival the glow of 100-watt traditional bulbs. They slash your electricity consumption. They last 50,000 hours. No more constantly having to stand on ladders to replace burnt-out bulbs. Now you can relax as these motion sensing, dusk-to-dawn lights brightly secure your garage, storage space, deck, or workshop. 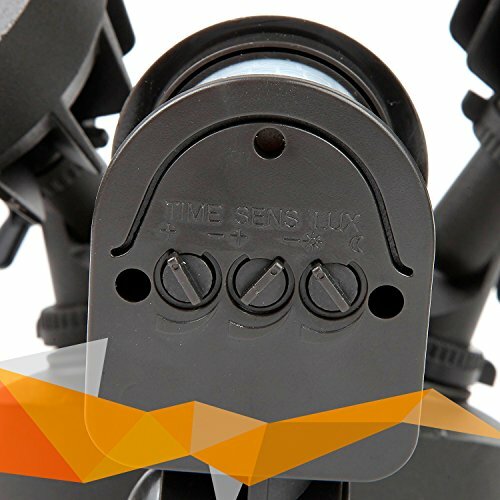 This waterproof fixture (IP65) features impact-resistant plastic lenses. In motion-activated mode, the floodlights will stay on for a full minute or 5 or even 10 minutes. You select from pre-set timers. 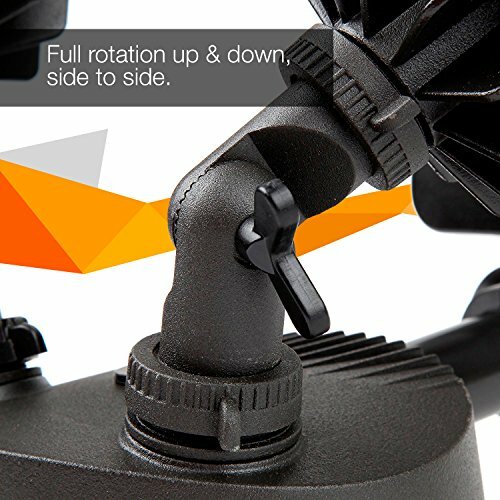 LightPRO rotates up, down, and side to side as it detects motion within 1800 degrees and up to 39 feet away. With a built-in photocell, your security lights automatically activate as night falls, then power down in daylight. Instantly on, they produce a blazing white light of 5,000 Kelvin color temperature. Not compatible with a dimmer switch. LightPRO LED must be wired to a wall-mounted electrical junction box. Consult a licensed electrician if you do not feel at ease with the installation procedure depicted in the instruction pictorial included with your purchase. EQUIVALENT TO 100-WATT INCANDESCENT LIGHT: Drawing only 21 watts, these ultra-bright, long-lasting dual-head floodlights (10.5 watts each) economically replace quick-to-burn-out, electricity-guzzling incandescent bulbs without skimping on vivid security-level brightness. Rotating outer bezels made of steel. INSTANT ON: With 2,000 Lumens and a color temperature of 5,000 Kelvin, LightPRO LED goes right to full intensity - never a delay or warm-up. 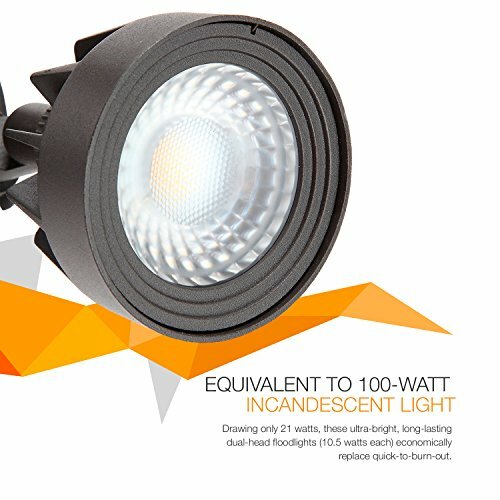 It has an IP65 waterproof rating and 80 CRI (color rendering index). Affix to garages, patios, storage facilities, or any entrances in need of extra security. 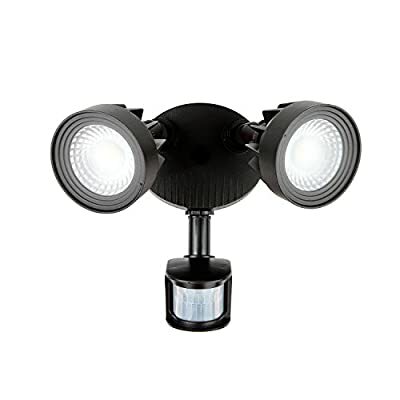 RANGE OF MOTION: LightPRO detects motion within a range of 240 degrees and out to 100 feet. You choose how long the lights stay on in motion-activated mode: Pre-set to 1,5, or 10 minutes. Wind-resistant and with fewer false triggers, LightPRO LEDs are brighter, smarter, and more responsive to motion than halogen lights. Full rotation up & down, side to side. NO POWER CORD: Flush-mount install in an electrical junction box on a 120-volt circuit. Wire directly by attaching positive, negative, and ground wires to your existing wiring. Point lights at a downward angle of 20 degrees. Dusk-to-dawn photocell activates at nightfall and powers down by day. Weighs 2.1 pounds; measures 11.5" W x 10" H x 9.25" diameter. 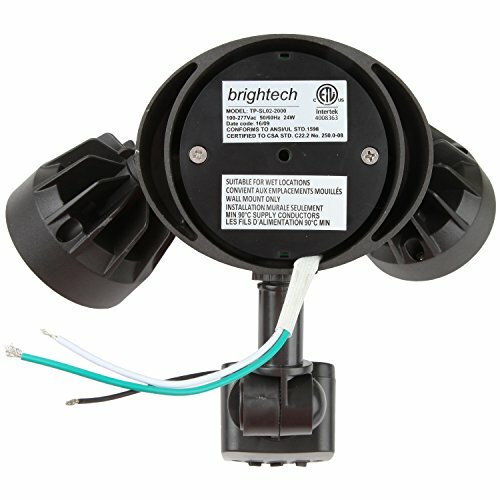 THE WARRANTY: All Brightech LED lights have a 3-year warranty. If for any reason you are not satisfied with your purchase, please contact us. Our industry-leading commitment to you will make things right!